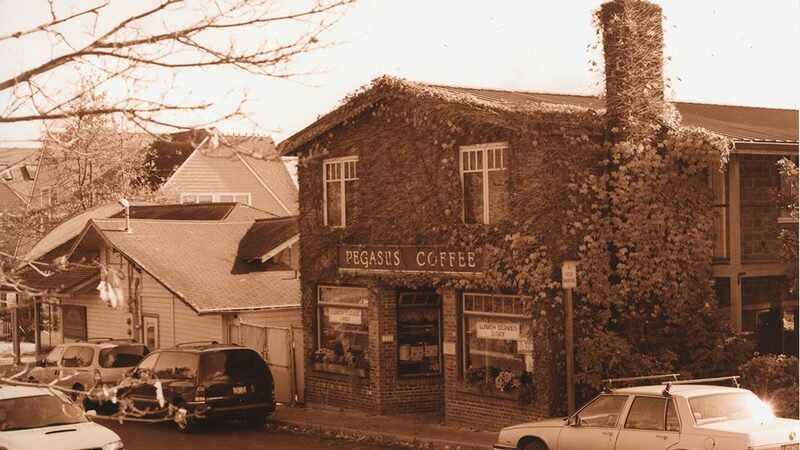 Pegasus founder David Dessinger first began hand roasting coffee beans on his boat in Eagle Harbor, then expanded his efforts with a move into the back of a Virginia-Creeper-covered building during 1979. 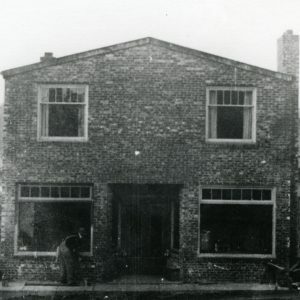 Having already established regular customers for his brews, the coffee house doors were formally opened to the public on Thursday, May 1st, 1980. 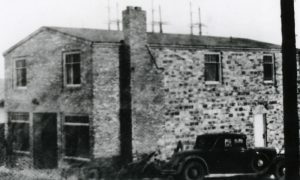 The landmark building was originally home to the Anderson Hardware store and was built by their staff, utilizing bricks salvaged from a former life serving as the incinerator for the island’s Port Blakely Mill. 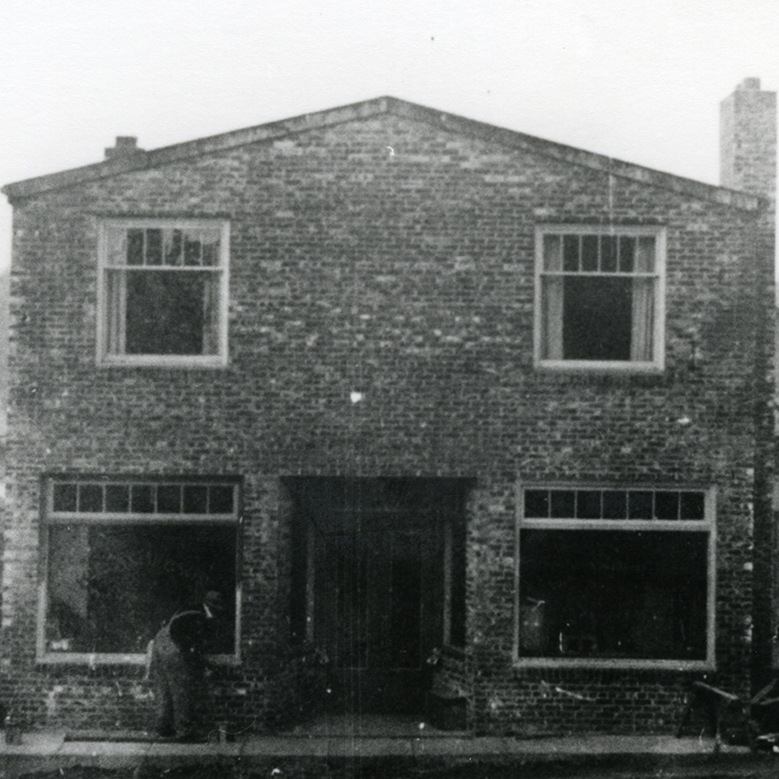 Until the end of the Mill’s operations in 1922, those same bricks were fired thousands of times and took on a wide variety of tones, a richness that was passed on the walls of the Anderson building as it was constructed in 1937. For some, Pegasus is a meeting room, an office spot, or a place where everybody knows their name, but for all, it serves as a hub for our community and the arts. Over the years, we have supported a wide variety of local talents, and that part of our tradition is very much alive and well: Our walls feature local works, our front windows become a stage for local artists, our tables host gatherings, and our noticeboards (both online and off) are here to let you know about a fun event coming soon, something new to give Pegasus fresh new wings. 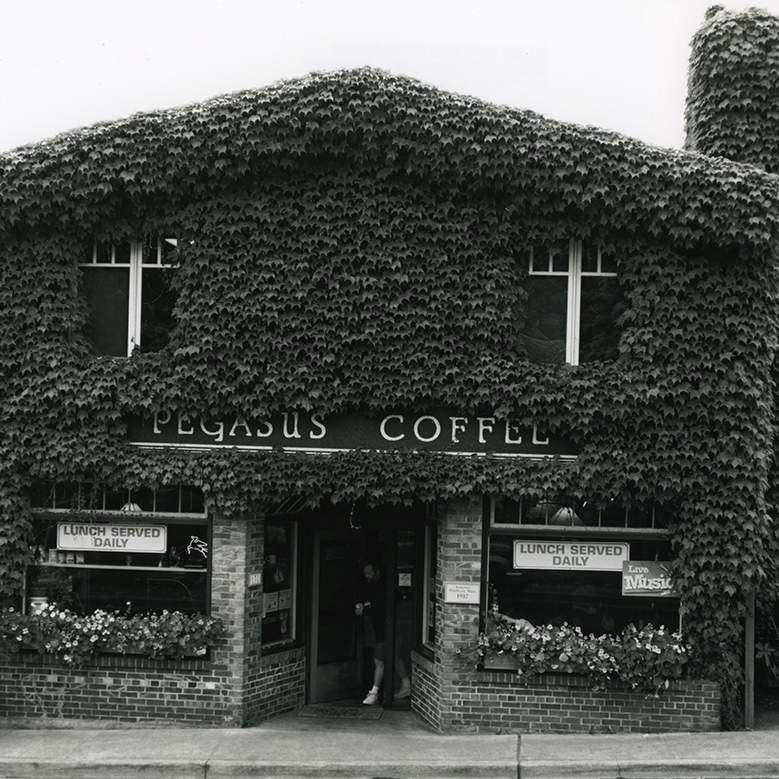 Today, the beans may be hand roasted up at a new Day Road facility, but the original Pegasus Coffee House remains in place to serve them to a wide array of friendly folks: Among the regulars, you’ll find artists, entrepreneurs, boat captains, telecommuters, and small business owners, all mixing with a smattering of the Bainbridge who’s who. You get a front-row seat to the murmurs of awestruck first-time visitors to Beautiful Bainbridge™, hugs amongst neighbors, and the buzz of old friends returning to Pegasus and to the island, all happily discovering and rediscovering a beloved place that they never really left. As it has been since the day it opened, in the ivy-covered building where it all began, Pegasus is for all of us – a friendly place providing good food, tasty beverages and community love for Bainbridge Island and beyond since 1979. Come become a new part of an old tradition today.